Preppy Pink Crocodile: New Fall Bag: The Dream vs The Reality. I need a new fall bag. I'm a tote bag kind of girl. I mean, I do like the look of some of the cross body bags popping up these days. But on other people. I'm not sure I can really pull it off. 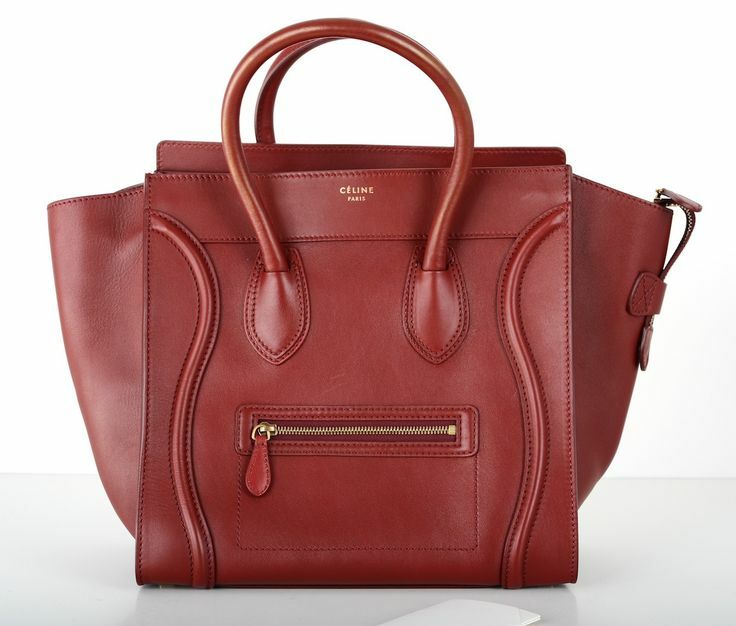 And as much as I am swooning over this Celine bag, it's not practical on any front. Like...at all. So I just drool dream. The Dream: In every color, please! This cute little number from Talbots, however, is right on the money. It's practical. It's cute. It's affordable. The strap is long enough to wear over your shoulder and short enough to wear on your arm. It's not Celine. By any stretch. But it might just work for this next season for me. Thoughts? The Reality: I prefer this in the black with brown trim option. I've not fully decided, so if you have suggestions I am totally open. But I just cannot go into another season carrying my LL Bean Boat and Totes as purses. I look like I don't know it's cold outside. And trust me...I know! Brrrr! London Fog has some bags that are along the same lines as the Celine bag. I really like the Talbots bag, very cute! I got myself a quilted style bag for fall too. If you don't mind slumming it over to JCP, this is my new fall bag. I'm loving it, especially the hidden outside pocket. I forgot to mention I bought mine in store, in navy, on sale for $40. It also comes, or came, in black and brown. 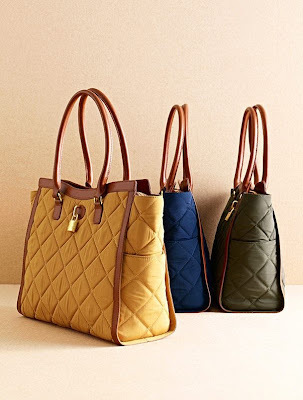 LOOVE the quilted Talbot's tote! You should totally get it in one of the brighter colors! You may have just solved the great fall debate on tote bags. My vote is YES please! I am not a bag girl. Usually use the same one until it I ruin it. Currently I am using a pink Longchamp and have been for about a year. It has seen it's better days. I should invest in something new! I like the Talbots bag in mustard, but I'm not really a bag/purse person either. I have friends with real YSL and Coach bags and their passion for having a different seasonal assortment of bags is about the same as my passion for gardening....they're hooked. My fave purse is black leather that has gone all soft with age. It polishes up nicely with pledge and it has a cute little upside down horseshoe on the front flap. I cannot for the life of me remember who makes that bag but it's 10 years old now and I still use it on occasion! My shabby little designer bag! I agree! The Talbots bag looks really great! I might be be biased though because I love Talbots. Those are some hard choices. I really want a new bag too.